Thanks - the booklet I have on Wouldham church was originally printed in 1959, revised & reprinted in 1967. Your version makes much more sense. In the 1930's Purser Burke's cottage was purchased, dismantled and re-erected in Sussex. Two large shell cases which stood at his gate which are claimed to be relics of the Victory were retained and place beneath the West window of Wouldham church. 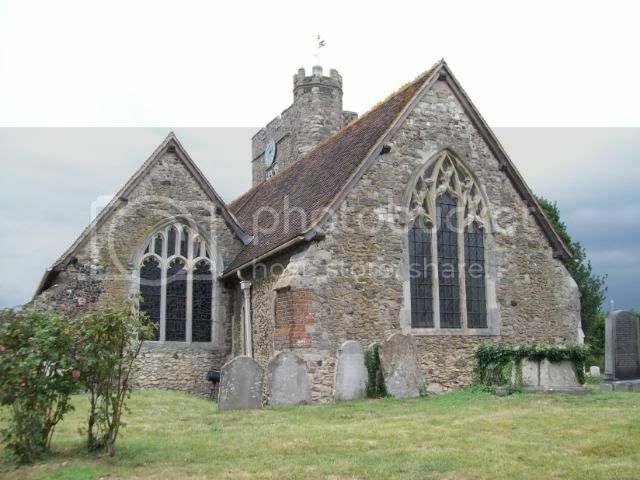 Source for the above info "Wouldham & its church" 1967 Did they have shell cases on the Victory ? In 2005 I was part of a naval guard from HMS PRESIDENT that joined in the commemorations to celebrate the 200th anniversary of the Battle of Trafalgar.There was a parade from the local junior school which culminated in a graveside salute at Walter Burkes grave. In the church there are two cannonballs that formerly sat on the gates outside Walter Burkes house, which allegedly were cannonballs recovered from HMS VICTORY !!! after Trafalgar............... I have seen them and I believe it, why not, they are on display along with other nice artefacts. I was taken to see this yesterday. In a church in Wouldham, near Rochester. On the headstone it says. A bit late with this one, I have only just joined, catching up. For those who are interested, children from the local school parade to Wouldham Church yard for a service on Trafalgar Day and lay flowers on Walter Burkes grave. He retired from the Navy to live at Wouldham see http://www.wouldham.com/Page4.html about half way through 2nd. paragraph. "where he owned both Purser Place and Burke House"
I was told the school has a collection of artefacts of Burke/Nelson/Trafalgar, viewing by appointment, but this may be incorrect/rumour. Afterall Burke was famous in Wouldham not Hardy! There is probably smething named afer him wherever he came from. 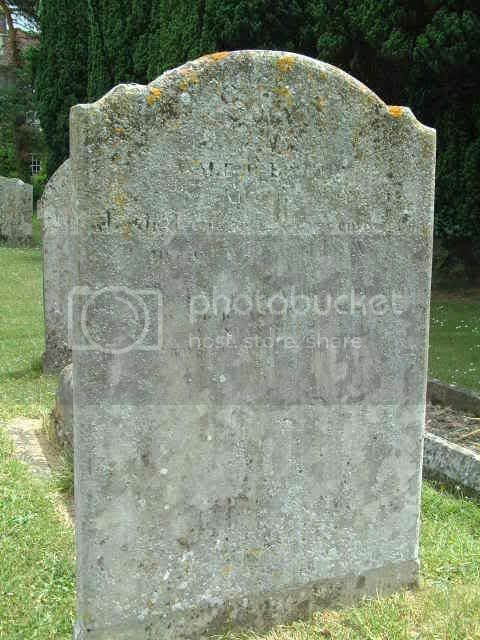 I think i'm right in saying...the original enscription was on the the other side of the gravestone, but it had faded so it was redone on that side. Also, these roads are nearby. Heres a link to the painting it Mentions Walter Burke. And one for the wreck of HMS Victory. Walter Burke, was the Purser aboard HMS Victory during the Battle of Trafalgar. He is famously portrayed cradling Admiral Lord Nelson in his last dying moments. 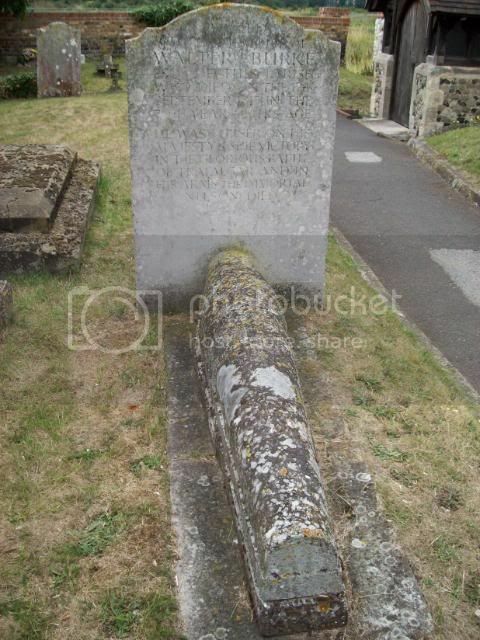 Walter is now at rest at All Saints Church, Wouldham.